I’m so excited be back in Austin after an amazing Grammy Festival Cruise to the Bahamas. And I am equally pumped to return to my favorite Indian restaurant, G’Raj Mahal, this Saturday Nov 15th. I will kick things off at 10pm and rock it until about midnight. 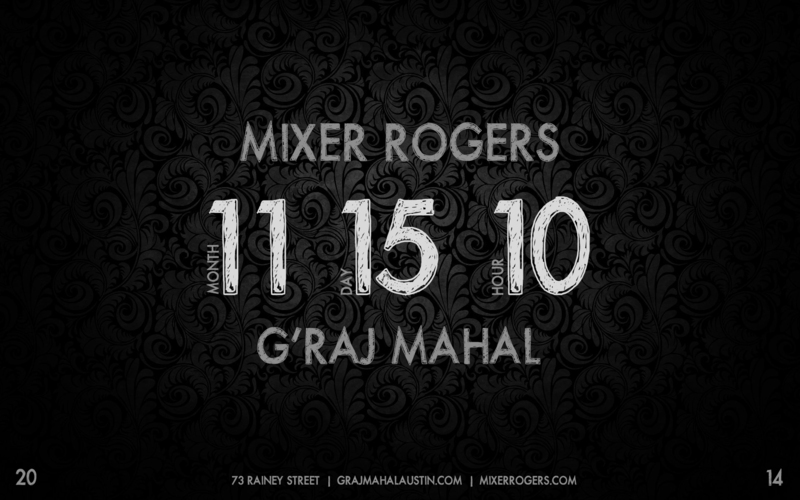 G’Raj Mahal is at 73 Rainey Street. I’ll certainly do what I do, but I’m also going to dive into some more Worldy stuff and especially some Bollywood jams. Can’t wait to eat that food! Hope to see you! This entry was posted in Shows and tagged ATX, Austin, Cam, DJ, Food, Fun, graj mahal, indian, Mixer, Mixer Rogers, naan, Party, rainey, Rogers. Bookmark the permalink.